Have you ever entered a supplement store and just stand there, not knowing what to do? Have you ever over heard people at the gym talking about multi vitamins or protein shakes? Well, it is very likely that you have, although it is not likely that you actually know how they work and what specific supplements are used for. In this article, we will briefly go over most of the different types of legal supplements in the bodybuilding industry. I am certain that by the end of this article you will have a better understanding of the supplements that are used in the bodybuilding industry and why they are so important. This is a supplement usually sold in the form of capsules and contains three main amino acids: Leucine, Valine and Isoleucine. These three amino acids are necessary to build muscles as they are essential amino acids that cannot be produced naturally in a person’s body therefore must be ingested through food or supplementation. There are approximately twenty amino acids that are found in human muscles, even though BCAAs only include three, Leucine, Valine and Isoleucine which form about a third of human muscle. This supplement has many advantages if properly used; it has been proven to increase body fat percentage loss, increase the amount of muscle building hormones in the body and increase athletic performance. Taking in a total of 10 – 15 grams of BCAA per day is usually enough, exceeding that dose is not recommended as medical research is lacking data on the side effects of over dosing on BCAAs. Casein is a protein supplement usually found in form of a soluble powder that can dissolve into water and milk if stirred and mixed properly. Unlike whey protein that is fast acting, Casein protein is a slow digesting protein source that is normally highly present in dairy products such as cheese and milk. The fact that casein is slow digesting makes it perfect to use throughout the day such as when you wake up and before sleeping; this allows a constant supply of protein to be released in your body. Casein protein intake varies according to your weight and should therefore be part of your overall protein consumption per day; this is usually 1g per pound of body weight. Whey protein supplements can usually be found in powder form, which dissolves very well into a variety of liquids such as milk or water. Whey protein usually dissolves faster than Casein protein powder and similarly is made in the production process of milk and cheese. Whey protein sources are fast digesting and should therefore be consumed after a workout or whenever a large amount of protein is quickly needed to repair muscle tissues for example. Whey protein is usually found in two different forms in the bodybuilding supplement industry, this includes: Whey concentrate and Whey Isolate. Whey concentrate is usually cheaper but contains a significant amount of lactose compared to whey isolate, which is purer. This could be a draw back if you are lactose intolerant. I recommend taking Whey concentrate as the added benefits of Whey isolate are insignificant compared to the increase in price except if you are lactose intolerant. Mass Gainers are usually found in powder form and dissolve into different liquids, mainly water and milk. Beginners who need to increase their muscle mass and weight, generally use mass gainers. They contain a mixture of different kinds of proteins and carbohydrates. It is important to know that the proteins added to mass gainers are often of low quality and so are the carbohydrates. A normal serving of a mass gainer will pack a huge amount of calories, usually between 400-900. Overall I do not recommend buying weight gainers as you can make your own weight gainer at home with proper natural healthy ingredients ( no added chemicals ),at a cheaper price. 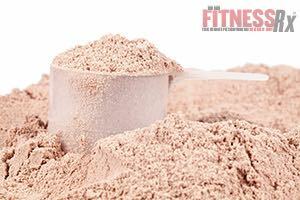 You can make your own mass gainer by simply consuming a mixture of casein, whey protein and oat meal. Creatine usually found in powder form, is probably one of the most researched and popular supplement used in bodybuilding today. Creatine dissolves well in water and milk and is usually used by people who want to increase strength and performance. In simple terms, Creatine allows muscle to increase in size by allowing more water molecules to bond to the muscles, which in hand also increase strength. Creatine does work and usually adds between 5 to 15 pounds to a person’s max bench press after a week of usage. Like whey protein, there are a couple of different types of commercially available Creatine to buy which include creating monohydrate and Creatine nitrate. I recommend using Creatine monohydrate as it showed consistent results unlike other form of Creatine. Beta Alanine is an amino acid that is naturally occurring; this means that your body can produce the amino acid by itself without having to take it in from external sources. It has been proven to raise athletic performance by increasing muscle endurance. This allows more work to be done at high intensities e.g. weight lifting with heavy weights. 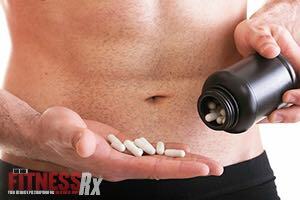 Beta Alanine is often consumed before a workout and should be taken every day to see results. Taking in about 4,500 mg of Beta Alanine should be sufficient and this usually means taking a single teaspoon worth of Beta Alanine powder. Glutamine is a non-essential amino acid that is usually found in capsule or powder form? It is not really known to have many benefits but some people suggest that it reduces dehydration. Anyway, Glutamine is usually really cheap to buy but I do not recommend buying Glutamine supplements in general as they lack research and their discovered effects are close to none. Omega 3 supplements also called fish oils are often found in capsule form and are essential to life. Omega 3 oils are known to improve cardiovascular health and reduce joint pain. Omega 3 supplements can achieve this by increasing HDL levels (good fats) and decrease triglyceride and LDL levels (bad fats). It is usually said that keeping your omega ratios of omega 6: omega 3 to 5:1 ratio should ensure maximum health benefits. Multi vitamins usually are found in forms of tablets and help your body intake all the required vitamins in order to function properly. Zinc has for example been proven to increase testosterone levels, whereas vitamin D has powerful effects on the absorption of calcium in order to build stronger bones. I strongly recommend buying a multivitamin supplement as it is very hard to get adequate amounts of vitamins and minerals in a diet, especially when in a cutting phase. Be careful not to mix different multi vitamin supplements together as they can cancel each other out and cause no benefit what so ever. Pre workout supplements also known as energy boosters are usually found in forms of powders and are used in order to boost a person’s energy levels before and during a workout. Pre-workouts can achieve this by increasing a person’s heart rate; this is possible as Pre workout supplements pack lots of Caffeine, Taurine, Creatine and Tyrosine. I do recommend Pre workout supplements only if a person feels he/she is lacking energy before a workout.This is because Pre workout supplements can cause cardio vascular damage by altering a person’s heart rate pattern. As you can see there are many supplements in the bodybuilding industry, the ones mentioned above are just a small fraction of all the supplements in the entire industry. If sued properly supplements cans dramatically boost a person’s performance and accelerate their progress in bodybuilding. What is important to realize here is that they are supplements. This means that your entire diet should not be composed of supplements. Instead, supplements should only be used as a boost; meaning that most of the calories you intake will be actual food! Please do not make this mistake as this can cause you harm. Ryan Abdullah is a student who is also a personal trainer in his free time. He fell in love with bodybuilding when he was only 12 and loves to motivate , teach and inspire people at all times.